It’s that time of year again! Summertime = watermelon everywhere! We’ve got a spicy yet quenching surprise for you to try or all you heat lovers out there AND as always at a great price! Create an even rim around margarita glasses with salt and fill with ice. Thinly slice the jalapeño into rings and place 1-2 pieces into each glass. Cut the watermelon into medium sized cubes and set aside. 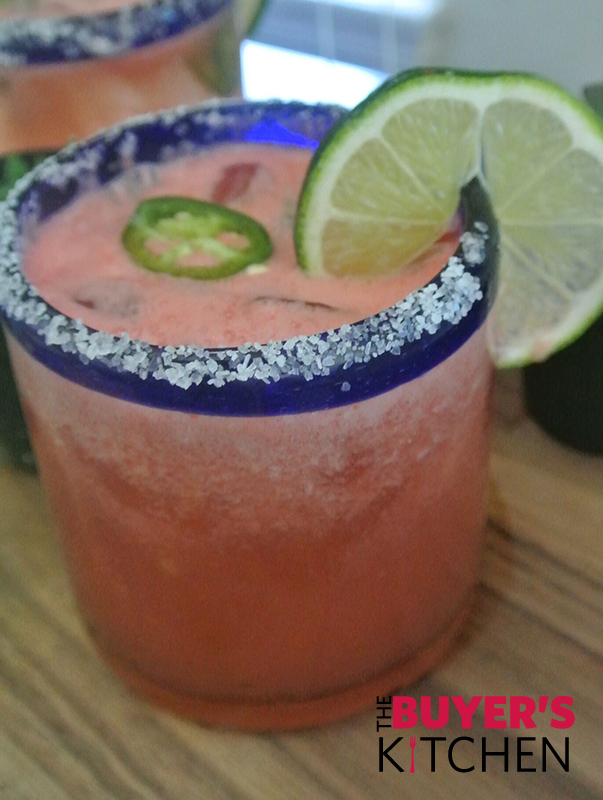 Add watermelon, tequila, triple sec, simple syrup & lime juice into a large blender. Blend until liquefied and smooth. Pour margaritas into the glasses. Garnish with lime and jalapeño. Serve and enjoy! 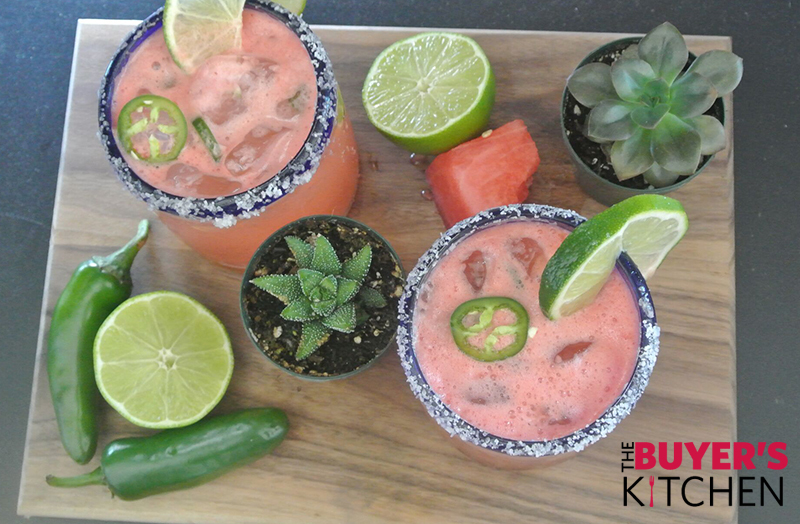 These can also be served as a frozen margarita by adding ice into the blender prior to liquefying. ** Please note you can always omit the jalapeño if heat isn’t your jam. Pour equal parts sugar and water into a saucepan. Heat and whisk until dissolved. The edges of the saucepan should start to lightly bubble/ simmer, the liquid should be completely clear. Allow to cool. FUN FACT: Watermelon is both a fruit AND a vegetable. Talk about an overachiever!. Like most fruits, watermelon is the product of a seed-producing plant and has a signature sweet taste. But, it can also be traced back to the squash, pumpkin, and cucumber family known as Cucurbitaceae. Boom!